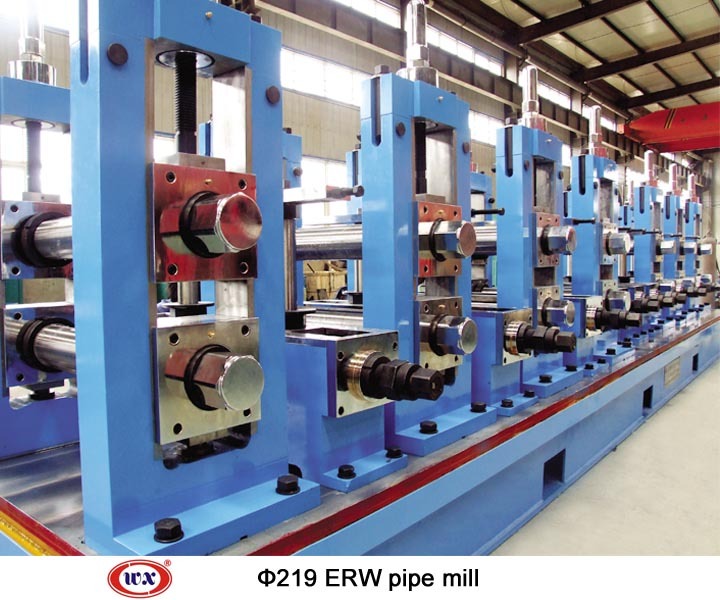 The high frequency straight seam welded pipe mill is used to level the fixed strip after slitting line, and entry it to forming machine, bend to open pipe by roller, melt the strip edges through the High frequency current, squeeze and weld the pipe to be closed by the squeeze roll. 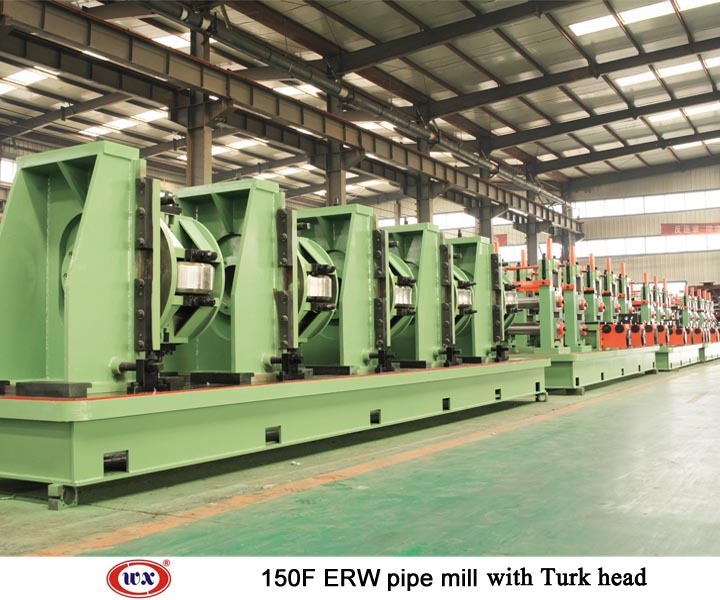 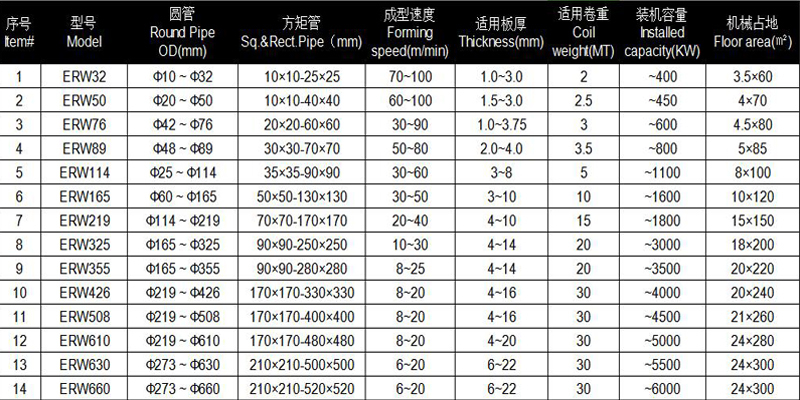 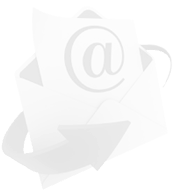 The high frequency pipe mill is also called ERW pipe mill. 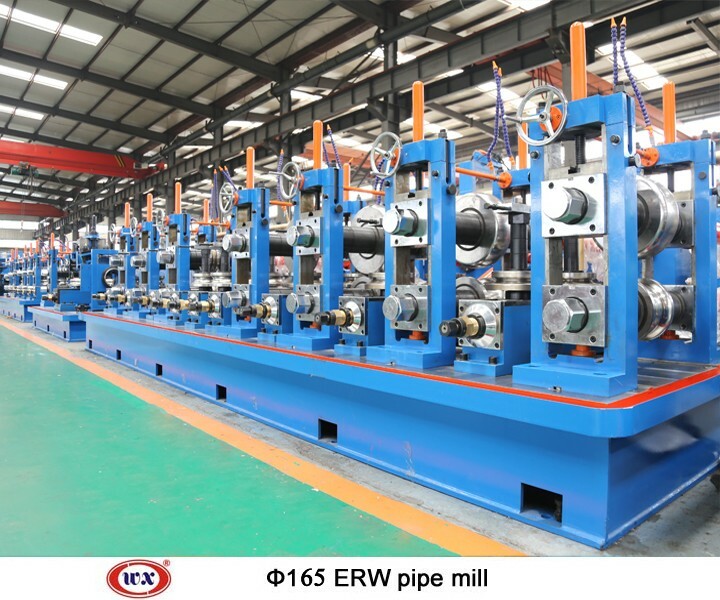 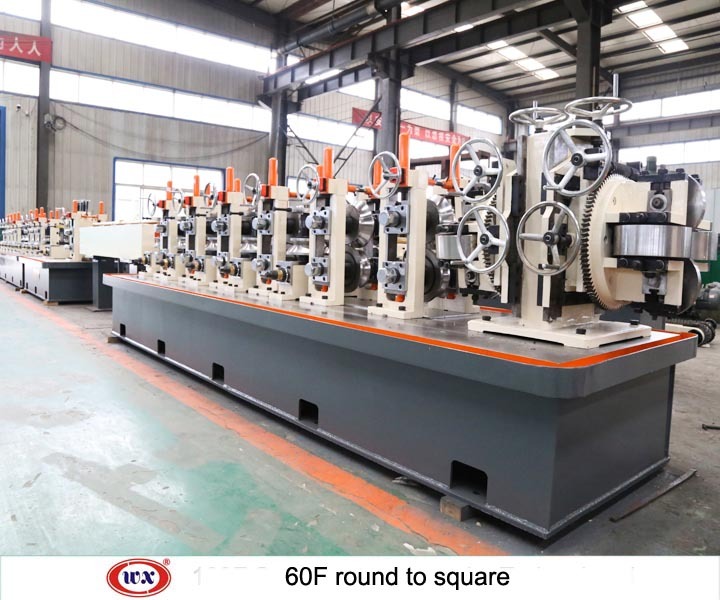 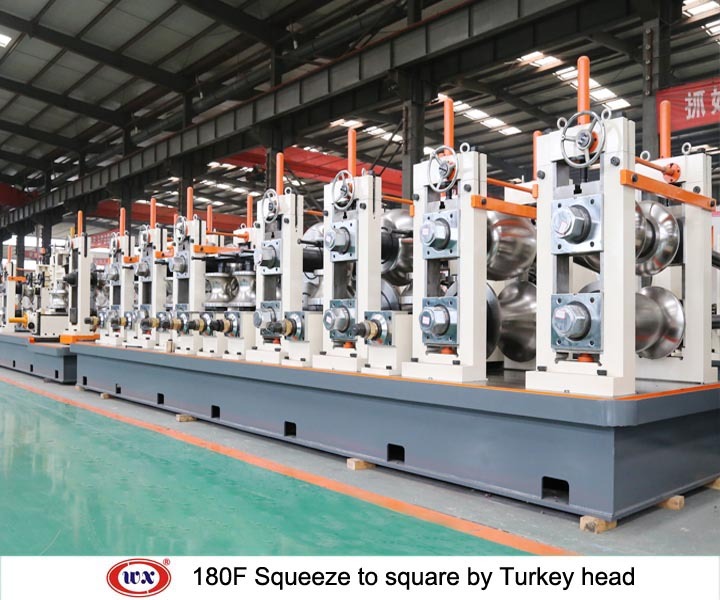 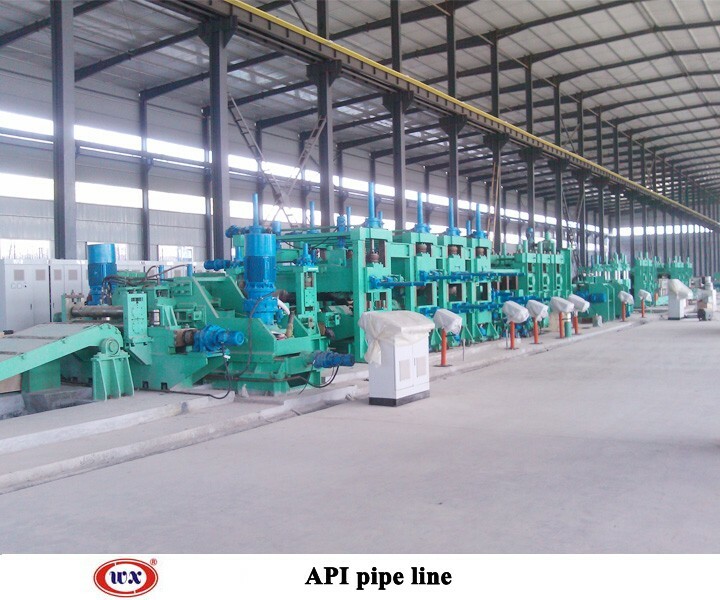 Our products technology of full-automatic FFX HFW production line and multifunction 250mm-500mm directly formed square pipe line are among the highest in the industry.